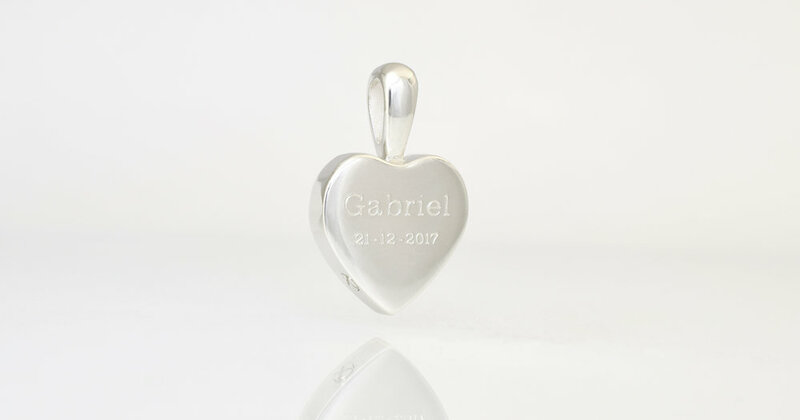 Personalised engraving on the back. Screw hole for the urn to be filled. I been working on the finer details of this urn pendant with a Mother for about 3 months. She lives over 100 klms away and today she brought the ashes to me and I sealed the urn up. She wanted to be able to feel the footprints when she touched it so the engraving of them is quite deep. She also wanted a bail on her heart rather than others she had seen where the chain passed through the heart. A really memorable piece made for a lovely young family who have allowed me to share it with you.